NutraGrass™ is a premium Green product concentrated from the juice of freshly harvested certified organic young Wheatgrass sprouts (Triticum aestivum). Naturally rich in a range of important vitamins, minerals, amino acids, phytonutrients and metabolic enzymes—including superoxide dismutase and cytochrome oxidase — wheatgrass contains up to 70% chlorophyll. 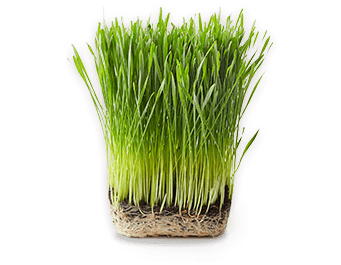 NutraGrass™ Wheatgrass is carefully grown, harvested and processed in order to capture the maximum amount of nutrients and vitality. NutraGrass™ grasses are organically grown outdoors in sunshine and moonlight, allowing them to absorb the full benefits of their pristine natural environment. They’re harvested at the peak of their nutritional potency and immediately processed in accordance with strict international Organic standards. Research by Dr. Charles Schnabel, Dr. George Kohler and Dr. A.I. Virtanen in the 1930’s-1950’s found that cereal grasses like Wheatgrass achieved their highest nutrient content at around 18 days—right before the first jointing. NutraGrass™ is gently dried by air stream at very low temperatures to preserve the bright colors and nutrients naturally found in the freshest wheatgrass juice. Deeply concentrated, NutraGrass™ has exceptional application in powdered formulas, particularly greens formulas, as well as capsules, tablets and supplements. NutraGrass™ is often a key ingredient in energy formulas and cleansing programs. With its fresh sweet “green” taste and excellent solubility, NutraGrass™ adds the perfect nutritional boost to juices, smoothies, functional drink products, sauces and salad dressings. NutraGrass™ is also highly suitable for boosting the nutritional content of functional foods. Due to its moisturizing and antioxidant properties, Wheatgrass is often used in cosmetics, skin and hair care products. Foremost among the many nutrients contained in Wheatgrass are high levels of chlorophyll, the pigment that gives plants their green color. In addition, Wheatgrass contains over 70 vitamins and minerals such as vitamins A, C, E, B1, B2, B3, B5, and B6, as well as biotin, folic acid, calcium, phosphorus, potassium, zinc, iron, and magnesium. Not only that, Wheatgrass contains hundreds of enzymes and supplies over a dozen amino acids, including seven essential amino acids. Chlorophyll is similar in structure to the heme in hemoglobin, the iron-containing cell that transports oxygen throughout the body. Thus, studies have shown that consuming chlorophyll-rich foods such as wheatgrass may be beneficial to maintaining healthy blood counts and assist in the formation of slightly alkaline ph levels in the body. In addition, it has been said that a diet high in chlorophyll-rich green vegetables like Wheatgrass may promote overall health.